Design Excellence. Outstanding Quality. Unparalleled Liveability. 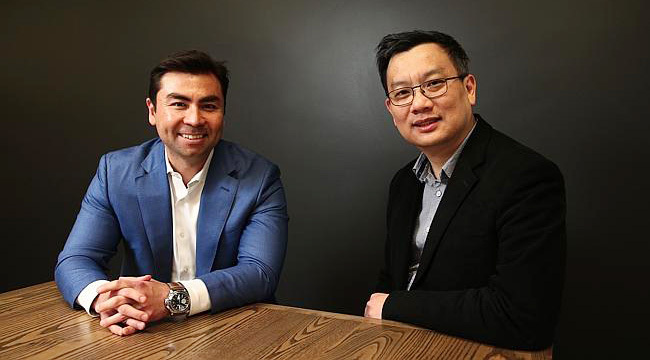 Chapter Group is a Melbourne-based property development practice founded in 2010 by Dean Lefkos and David Lee, and derives its name from the opportunity to design homes in which people write the stories of their lives. Harnessing over forty years of collective experience, across key property development disciplines from architecture to finance, enables Chapter to efficiently streamline the delivery process. Each and every one of Chapter’s projects is founded on the core principles of design excellence, outstanding quality and unparalleled liveability. With a keen eye on exploring significant gaps in the marketplace, Chapter’s portfolio of developments represent the vanguard in Melbourne’s multifamily design landscape – projects courting sophisticated clients, that take shape at the leading edge of the industry. A seamless collaboration with K2LD Architects, holistic approach to property development has resulted in some of the most architecturally ground-breaking urban living residencies Melbourne has to offer. Chapter Group is a partnership of two unique individuals, Dean Lefkos and David Lee, each with their own highly specialised skill set in key disciplines including architecture, design and finance. A former executive director at Goldman Sachs, founder Dean Lefkos is smart about how Chapter Group identifies opportunities and sources and uses capital. “We are focused on quality and ‘doing the right thing’ for our partners and customers, this is the key to longevity in business. We like to do business with people who share those core principles”. An architect of international significance, David is also a founder and director of architecture practice K2LD Architects with offices in Melbourne and Singapore. “I enjoy telling a design narrative, as every site has a story to tell. I hone the design concept until it is meaningful for the site and the community it connects to.